Who is Salman Bin Adbul Aziz ? What is his Role in Nurturing Wahabi Terrorist Nurseries Around the World ? JNN 08 Feb 2015 New York : Zacarias Moussaoui a former agent of al-Qaeda who imprisoned for suspected to be one of 9/11 hijackers, describes to plaintiffs’ lawyers of family of 9/11 victims which in meeting in Saudi Arabia with Salman, then the crown prince, and other Saudi royals while delivering them letters from Osama bin Laden. Former operative for Al Qaeda, prisoner Zacarias Moussaoui says prominent members of Saudi Arabia’s royal family are major donors to the terrorist network in the late 1990s and he discussed a plan to shoot down Air Force One with a Stinger missile with a staff member at the Saudi Embassy in Washington, New York Post reprts. The Qaeda member, Zacarias Moussaoui, wrote last year to Judge George B. Daniels who is presiding over a lawsuit filed against Saudi Arabia by relatives of those killed in the Sept. 11, 2001, terrorist attacks. He said he wanted to testify in the case, and after lengthy negotiations a team of lawyers was permitted to enter the prison and question him for two days last October. Mr. Moussaoui received a diagnosis of mental illness but psychologist testified he was competent to stand trial on terrorism charges. 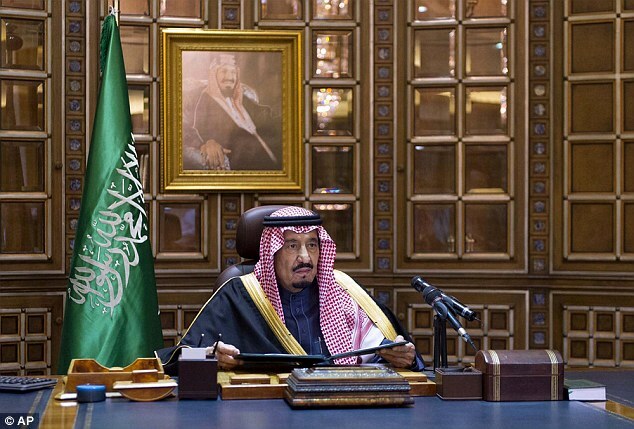 He was sentenced to life in prison in 2006 and is held in the most secure prison in the federal system, in Florence, Colo.
Mr. Moussaoui’s accusations which could not be verified Comes at the sensitive time in Saudi-American relations, less than two weeks after the death of the country’s longtime monarch, King Abdullah, and the succession of his brother, King Salman. There has often been tension between Saudi leaders and the Obama administration since the Arab uprisings of 2011 and the efforts to manage the region’s resulting turmoil. Mr. Moussaoui describes meeting in Saudi Arabia with Salman, then the crown prince, and other Saudi royals while delivering them letters from Osama bin Laden. There has long been evidence that wealthy Saudis provided support for bin Laden, the son of a Saudi construction magnate, and Al Qaeda before the 2001 attacks. Saudi Arabia had worked closely with the United States to finance Wahabi Terrorists fighting the Soviet Army in Afghanistan in the 1980s, and Al Qaeda drew its members from those Terrorists . He said in the prison deposition that he was directed in 1998 or 1999 by Qaeda leaders in Afghanistan to create a digital database of donors to the group. Among those he said he recalled listing in the database were Prince Turki al-Faisal, then the Saudi intelligence chief; Prince Bandar Bin Sultan, the longtime Saudi ambassador to the United States; Prince al-Waleed bin Talal, a prominent billionaire investor; and many of the country’s leading Wahabi clerics. Former Senators Bob Graham of Florida who was co-chairman of the Joint Congressional Inquiry into 9/11 Commission says: “I am convinced that there was a direct line between at least some of the terrorists who carried out the Sept. 11 attacks and the government of Saudi Arabia”. Mr. Graham, who has long demanded the release of 28 pages of the congressional report on the attacks that explore Saudi connections and remain classified. As former CIA official Bruce Riedel astutely pointed out, served as Saudi Arabia’s financial point man for bolstering fundamentalist proxies in war zones abroad. Salman’s half brother King Khalid (who ruled from 1975 to 1982) appointing Salman to run the fundraising committee that gathered support from the royal family and other Saudis to support the mujahideen against the Soviets. Riedel writes that in this capacity, Salman “work[ed] very closely with the kingdom’s Wahhabi clerical establishment.” Another CIA officer who was stationed in Pakistan in the late 1980s estimates that private Saudi donations during that period reached between $20 million and $25 million every month. And as Rachel Bronson details in her book, Thicker Than Oil: America’s Uneasy Partnership With Saudi Arabia, Salman also helped recruit fighters for Abdul Rasul Sayyaf, an Afghan Salafist fighter who served as a mentor to both Osama bin Laden and 9/11 mastermind Khalid Sheikh Mohammed. Reprising this role in Bosnia, Salman was appointed by his full brother and close political ally King Fahd to direct the Saudi High Commission for Relief of Bosnia and Herzegovina (SHC) upon its founding in 1992. Through the SHC, Salman gathered donations from the royal family for Balkan relief, supervising the commission until its until its recent closure in 2011. By 2001, the organization had collected around $600 million — nominally for relief and religious purposes, but money that allegedly also went to facilitating arms shipments, despite a U.N. arms embargo on Bosnia and other Yugoslav successor states from 1991 to 1996. The jihadi threat to Saudi Arabia, however, does not appear to have ended Salman’s willingness to associate with alleged jihadi funders and fundamentalist clerics. The board of trustees for the Prince Salman Youth Center, which Salman himself chairs, today includes Saleh Abdullah Kamel, a Saudi billionaire whose name showed up on a purported list of al Qaeda’s earliest supporters known as the “golden chain.” (The Wall Street Journal reported that Kamel “denies supporting terror.”) But as the United States sought to shut down Saudi charities with ties to terrorism in the aftermath of the 9/11 attacks, Kamel and Salman both condemned the effort as an anti-Islamic witch hunt. This entry was posted in Middle East and tagged Al-Qaeda, Ale Saud, House of Saud, Khadim e Harmain Sharifain, KIng Salman, Osama bin Laden, Prince, prince bandar bin sultan, Salman, Salman Bin Abdul Aziz, Saudi Arabia, Saudi Embassy in Washington, Saudi KIng, terrorist attacks, Zacarias Moussaoui. Bookmark the permalink.